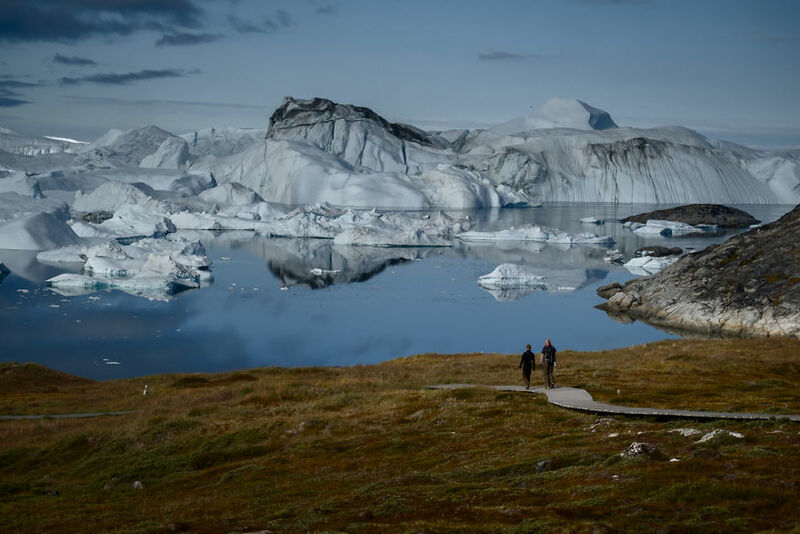 I’ve been going to Greenland for years, and one of my favourite towns to visit is Ilulissat, famous for its surreal landscapes, where small colourful houses are surrounded by countless icebergs. 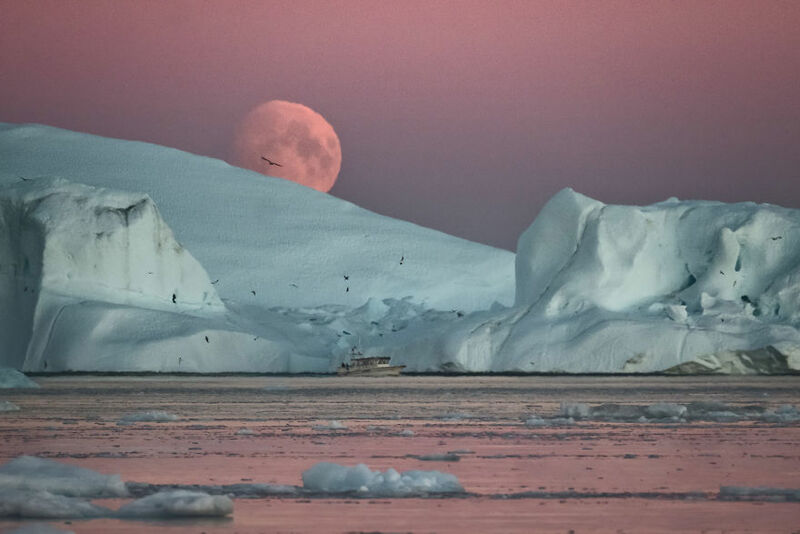 There is one area there that I find particularly attractive – Ilulissat Icefjord. In summertime, I love coming there at around midnight, sit down with a thermos full of hot coffee and listen to the icebergs calving while they are making their way into the ocean. Allow me to share my amazement with this place through the images below. It is situated where the Sermeq Kujalleq glacier calves ice into the sea. Sometimes they lie there for years, until they are broken up by the force of the glacier and icebergs further up the fjord. 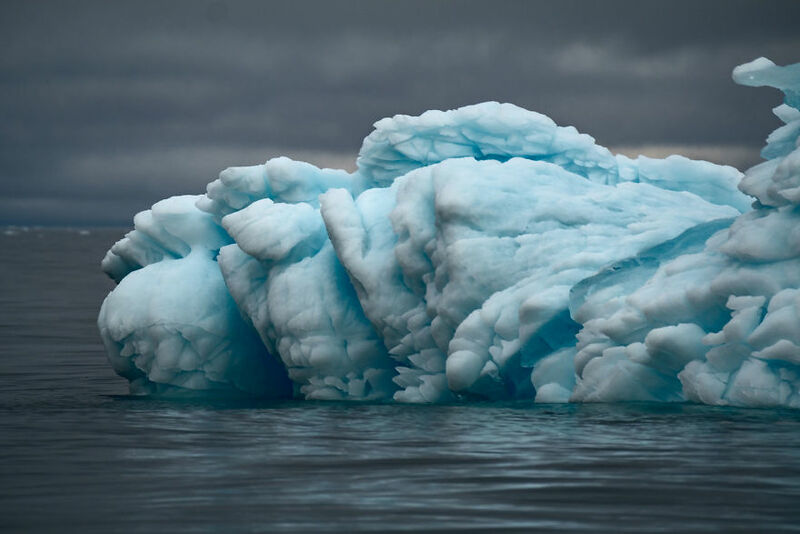 On breaking up the icebergs emerge into the open sea and initially travel north with ocean currents before turning south and running into the Atlantic Ocean. It annually calves over 35 km3 of ice, i.e. 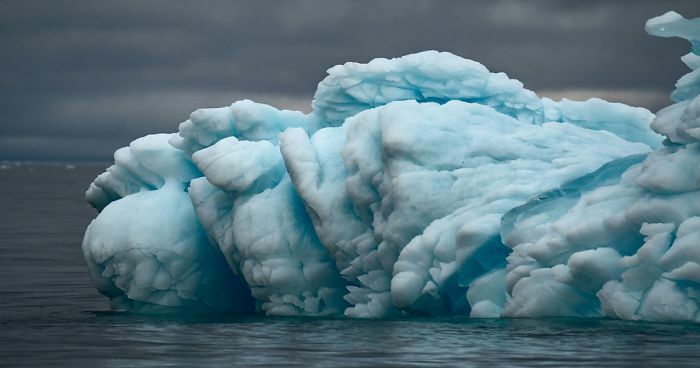 10% of the production of all Greenland calf ice and more than any other glacier outside Antarctica. 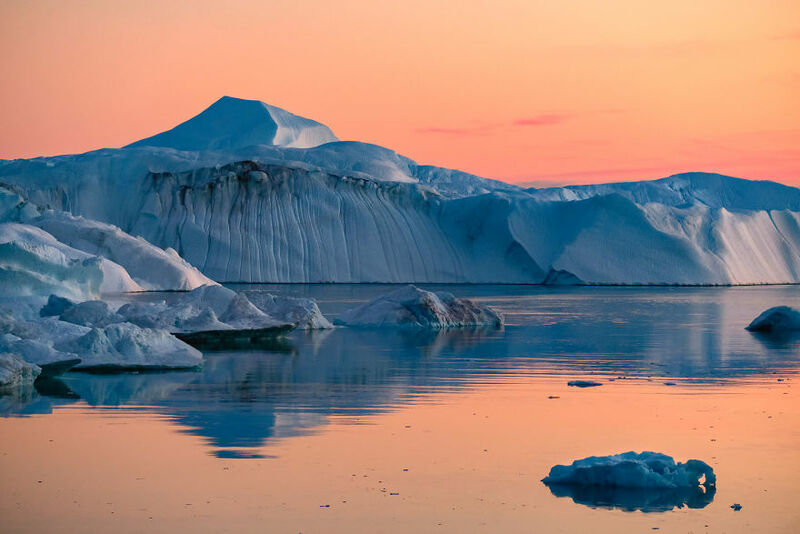 The combination of a huge ice-sheet and the dramatic sounds of a fast-moving glacial ice-stream calving into a fjord full of icebergs make for a dramatic and awe-inspiring natural phenomenon. I was born in a remote Russian Far East on the shores of Sea of Okhotsk, raised in the steppes of Southern Kazakhstan, and worked and lived all over the world since then. For as long as I can remember, I've been fascinated by stories of far-away places and cultures different than mine. 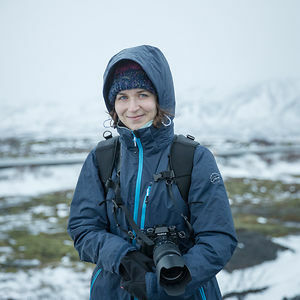 I've been fortunate to travel to many regions of the world, and I chose photography as a means to share the beauty of the people and the lands I discovered. Breath taking. I can only imagine what it is like to stand here. These are great photos! Do you have any insight as to what effect global warming is having on the area?